Supertramp was a British progressive rock and pop band that had a series of top-selling albums in the 1970s. 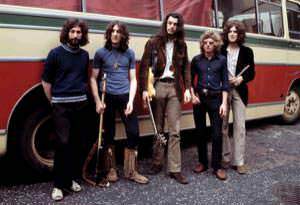 The band was formed in the United Kingdom in 1969. Co-founder, composer and lead singer, Roger Hodgson left the band in 1983 to bring up his children. In 1988, Supertramp re-formed with some former members plus several new ones, and continue to tour. All the band members were musicians capable of playing multiple types of instruments, including brass and woodwinds. .